Oscar winning actor-director Mel Gibson's epic film that focuses on the last 12 hours of Jesus' life -- from the betrayal, trial and death of Jesus to his crucifixion and resurrection from the tomb. Movie and popcorn provided. Feel free to bring a snack and soda. Everyone welcome. Cathedral will be hosting a training and information night for those interested in being mentors or host homes for YDisciple. If you have questions, want to know more about the program, or are looking into ways of getting involved, please join us in the St. Thomas room at 6:30 on March 30th. Please call the parish office, or email Maggie at maogra12@smumn.edu if you plan on attending! You are in a position to help us protect God’s children. 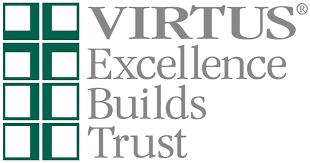 We would like to invite you to attend a VIRTUS training session. It is mandatory that all adults who work with children or vulnerable adults take this training. Man of God, the Diocese of Winona Men's Conference, will occur on Saturday, April 8, 2017 at Lourdes High School, Rochester, Minnesota. The Catholic Men’s Conference seeks to develop and foster a community of men centered on the true man Jesus Christ and to inspire men to follow Him in the path of holiness. 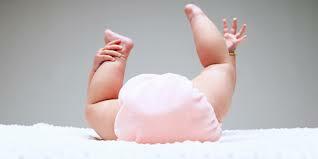 Winona County Human Services is in need of disposable diapers sizes 2 to 5. These diapers will be distributed to families served by Winona County Human Services when they visit the families. For many families, the cost of diapers is more than they can afford, but are an absolute necessity. Your help with this Lenten project is greatly appreciated. We are making a new and updated parish directory and we want YOU to be a part of it! Please scroll down to see a schedule of photo sittings. You may be photographed at either parish. Sign up at the parish at which you wish to be photographed with the date and time that works for your family. *Get 20% off the prints ordered in March!